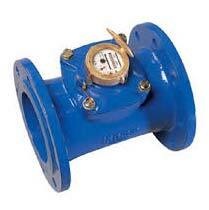 We are a prominent Manufacturer, Supplier and Exporter of Water Meters from India. Our Bulk type Water Meter is available in analogue and digital type. We also manufacture SS Water Meters for Chemical, Pharmaceutical and Food Industry. Moreover, these Water Meters are conforming to IS Standards. These Water Meters can be availed from us at market leading prices.